If you’re on the lookout for cute matching holiday outfits for siblings, it’s well worth continuing reading in order to discover a few cute matching outfits that your kids may actually be tempted to wear. As an example, if you have a daughter and a son who are close in age, you may want to dress your daughter in a plaid skirt and a white shirt and your son in a white shirt and black pants or shorts with a plaid bow tie. To top off your kids’ matching plaid outfits, simply get each of your children to pair their look with a cute black blazer and black dress shoes. Another way to get your kids to match during the holidays is to get each of your kids to wear black overalls which they can wear over matching red turtleneck tops. If you’re looking for a fuss free outfit that’s as comfortable as it is cute, you can’t go wrong purchasing matching leggings for your kids which they can then pair with matching love sleeved t-shirts. 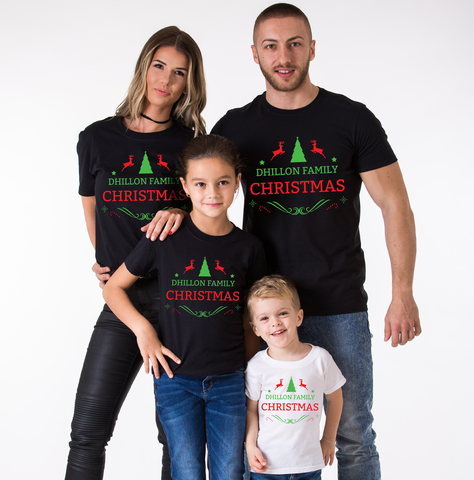 If you’d love to be able to take cute family photos of your whole family wearing matching holiday leggings and long sleeved t-shirts, it’s definitely well worth purchasing matching adult sized leggings and long sleeved t-shirts for yourself and your partner. If your kids like to wear the same type of sneakers, you may want to purchase your little ones matching Converse or Vans sneakers. However, if you kids want to express a little bit of their individual personalities, you may want to allow your kids to select sneakers which are a little different from their sibling’s choice. As an example if one of your kids selects a pair of white low top leather Converse sneakers, their sibling may opt to purchase a pair of white high top canvas Converse sneakers. So that they’ll be able to match their sibling, without looking like a clone of their twin. Alternatively if you’re interested in getting your kids to match each other, without putting your kids into the exact same pieces of clothing, it’s well worth purchasing a few meters of the same print fabric, in order to sew matching pieces of clothing for your kids. As an example, if you have daughters of a similar age, one of your daughters may like the idea of wearing a teddy bear print dress, while her sister may prefer to wear a teddy bear print romper. This idea is a great idea if your kids want to match without looking too matchy matchy. As some kids wouldn’t be caught dead wearing the exact same outfit as one of their siblings. Even if they adore their sibling. So if you’d like to put together adorable holiday outfits for your kids, it’s well worth using the five ideas listed above as inspiration for your kids’ matching outfits.